Bottom line – it’s an impossible place, our reality. This is DIPG. But as parents, our instinct to keep trying, hoping, and fighting for Piper is as strong as our instinct to breathe, no matter the odds. After Piper was diagnosed, we were presented with two up-front clinical trial options. We elected to participate in a phase zero study which entailed giving her one dose of Gemcitabine, a well-known chemotherapy drug, just before her biopsy, to see if the molecules could pass the blood/brain barrier (BBB) and reach her tumor. The BBB has proven an impenetrable fortress in countless trials before, but to everyone’s surprise the drug got in and was equally dispersed throughout her tumor tissue. But, given the early stage of research, we were told this wasn’t a viable therapy we could consider for Piper, as factors like dosing and side-effects were still untested. Next we were presented with an opportunity to send some of Piper’s tumor collected at biopsy to the University of Michigan to undergo extensive genetic testing. This is something researchers have only begun to do now that DIPG biopsies are considered safe and routinely offered. Previously, tests like these were limited to post-mortem tissue when elected by the family. The goal of this study was to illuminate the specific biology of Piper’s tissue, and use that information to identify effective treatments. After agreeing to those initial trials we focused on Piper’s six week radiation regimen (AKA the same and only standard treatment for DIPG unchanged in 60+ years). We were repeatedly told that radiation was palliative, and that it was not a cure for Piper’s DIPG. We were advised to seek second opinions only after this point, as radiation represents the “gold standard” in treatment and would be suggested by any/all reputable neuro-oncologists. When the time came, we sought opinions from all the top pediatric cancer institutions including: Stanford, Dana Farber, St. Jude, and Memorial Sloan Kettering. This exercise resulted in nothing ground-breaking, only unanimous agreement of Piper’s diagnosis. It did give us the opportunity to consider a few additional trials that were not previously available, however we resolved to try a different path altogether. With the genetic information obtained from the University of Michigan study, Piper’s care team will pursue a personalized treatment plan. We reasoned that if obtaining biopsy tissue and genetically testing it represents the newest technology in the world of DIPG, we should use what we learned. While this is not presented as a “cure” (a word decidedly avoided in these cases) it goes beyond just controlling symptoms. It aims to fight Piper’s tumor using a duo of chemotherapy drugs believed to represent her best chance. Unlike trials, this gives her the freedom to continue on Avastin in lieu of steroids (greatly improving her quality of life) as well as stay in Colorado for her care. 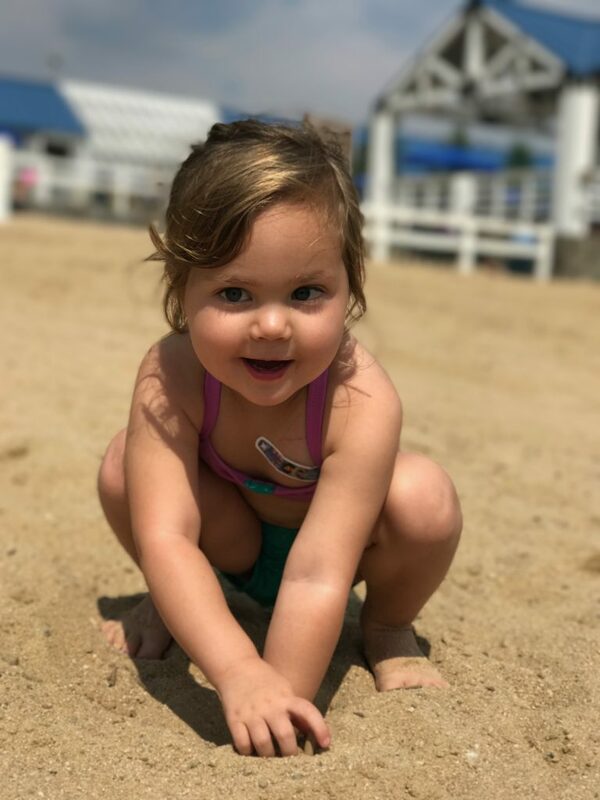 If we are successful in our insurance negotiations, Piper will start treatment this month, along with physical therapy to encourage her body to reclaim its independence. We are in uncharted territory. But it’s what we have – and its more than some families ever get. For our part, we will continue to “enjoy our time” and use it to laugh together, research like hell, advocate in between, and hope and pray that this treatment works for Piper.